Russian biochemist Vladimir Skulachev—-who first coined the term “bioenergetics” and then proceeded to pioneer the field—-has essentially been thinking about the puzzle of neoteny for half a century. 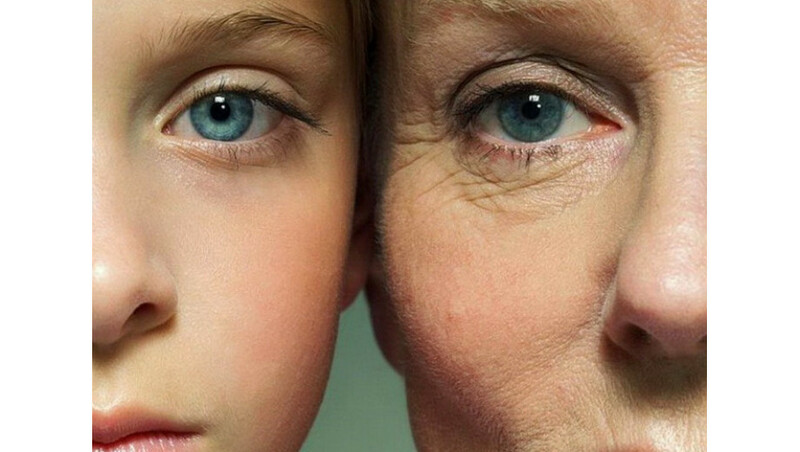 Neoteny is the retention of youthful features of an organism in adulthood. It’s a phenomenon Stephen Jay Gould once characterized as the most important factor in human evolution, although neoteny is thought to be inherent in a wide range of life from whales to salamanders to jellyfish—-even in plants. 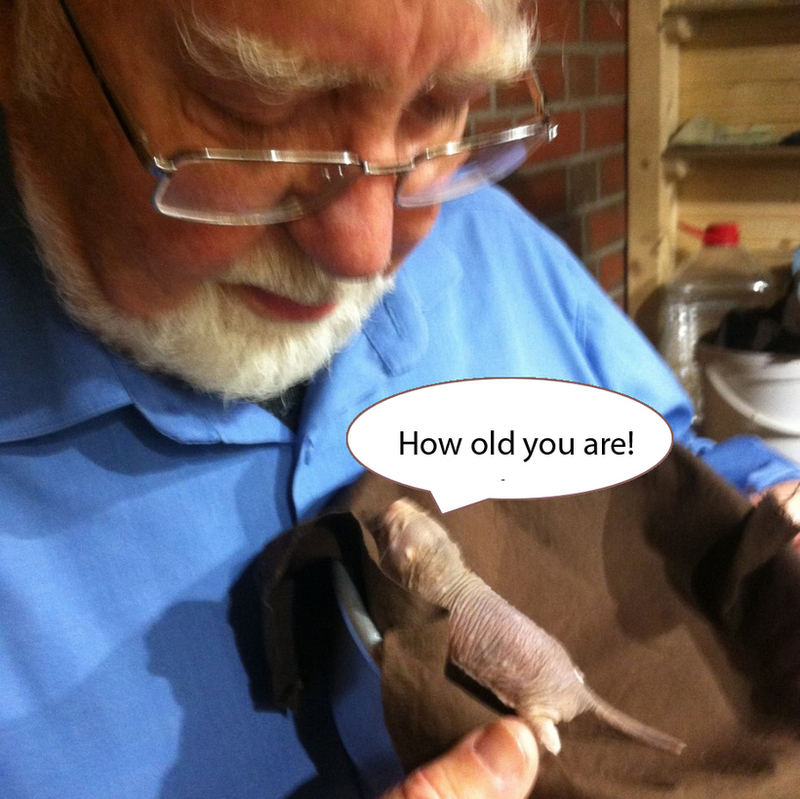 Skulachev is an experimentalist who is currently studying neoteny in naked mole-rats at his lab at Moscow State University (apparently the “queen” can live for 30+ years). He is also a professor of biochemistry at MSU and serves as director of MSU’s Belozersky Institute of Physico-Chemical Biology, as chief of MSU’s Bioenergetics Department, and as dean of MSU’s school of Bioengineering and Bioinformatics. Vladimir Skulachev began his scientific career in biology at MSU in the early 1950s and a decade later organized MSU’s first Department of Bioenergetics. He was also one of the early experimental supporters of Peter Mitchell regarding chemiosmosis, a hypothesis that would embroil Mitchell in the decades-long oxphos wars. Vladimir Skulachev told me it is clear to him what the special mechanism is for the timing of development of an individual organism from zygote to adult. His deep understanding of bioenergetics also accounts for the confidence he has in his approach to inhibiting and reversing aging through a mitochondria-targeted antioxidant drug therapy known as “SkQ”. But while Skulachev’s work has inspired scientists like Nobelist Günter Blobel in recent years to describe him as “the world’s best biochemist, world’s best bioenergetics person,” saying further that “we don’t have antioxidants of the type that Skulachev has developed”—-there is also skepticism about the effectiveness of antioxidants, notably from British biochemist Nick Lane. Meanwhile, Skulachev reports that out of a million units of Visomitin on the Russian market, there has not been a single complaint about side effects. Among Vladimir Skulachev’s honors are the following: Lenin Komsomol Prize (Science and Technolgy,1967), AN Bakh Prize (Academy of Sciences, USSR, 1972), Order of Red Banner of Labor (1972), State Prize of the USSR (1975). Skulachev is a member of the Russian Academy of Sciences and of the Academy of Europe, and also serves as Academy of Europe Russian Club President. His PhD is in biology from Moscow State University. He is the author of these two books: Membrane Bioenergetics and Principles of Bioenergetics, and of hundreds of scientific papers.